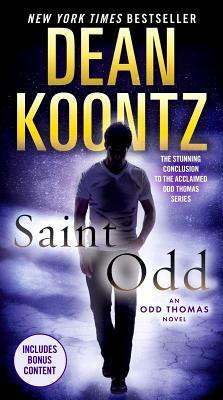 Odd Thomas is back where it all started . . . because the time has come to finish it. Since he left his simple life in the small town of Pico Mundo, California, his journey has taken him to places strange and wonderful, mysterious and terrifying. Across the land, in the company of mortals and spirits alike, he has known kindness and cruelty, felt love and loss, saved lives and taken them--as he's borne witness to humanity's greatest good and darkest evil. Again and again, he has gone where he must and done what he had to do--for better or worse--with his courage and devotion sorely tested, and his soul forever changed. Every triumph has been hard won. Each sacrifice has taken its toll. Now, whatever destiny drives him has finally steered his steps home, where those he cares for most surround him, the memory of his tragically lost true love haunts him, and one last challenge--vast and dreadful--awaits him. For Odd Thomas, born to serve a purpose far greater than himself, the wandering is done. Only the reckoning remains.